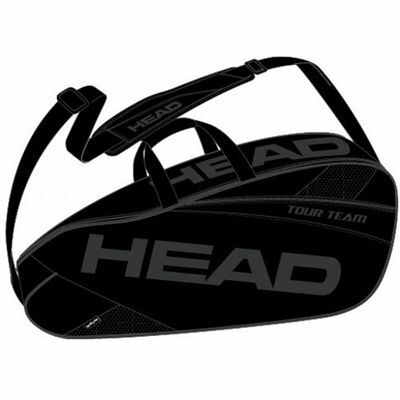 The Head Team Black Line Pro racket bag has one main compartment that can hold up to 3 rackets. The bag also includes a side pocket for accessories with an internal zipped mesh pocket. It can be transported in an easy way thanks to a single detachable padded shoulder strap and two central carrying handles. The bag has a stylish black design and is PVC free. for submitting product review about Head Team Black Line Pro Racket Bag.